Missouri is a Midwestern state with a diverse landscape, from the Dissected Till Plains and the Mississippi Alluvial Plain to the Ozark Mountains. Interestingly, while it has a large number of rivers and streams, it has no natural lakes and except for oxbow lakes, which form in old riverbeds, all large lakes in Missouri are manmade. Blue Springs Lake is one of two lakes in the popular 7,800-acre Fleming Park, a short drive from Kansas City's urban sprawl. This 720-acre freshwater reservoir located near Blue Springs in Jackson County is 3 miles long and provides a range of attractions for the whole family. Its tree-lined shores are perfect for fun weekends, and there are picnic shelters on the northeast shore and a number of landings the western shore for jet-skiing, sailing, swimming, tubing, canoeing and, of course, fishing. 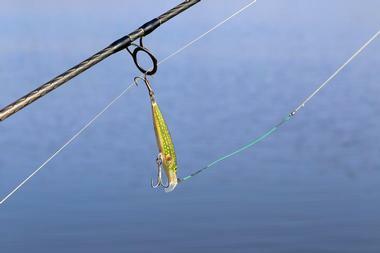 Anglers can expect to catch hybrid striped bass, largemouth bass, bluegill, carp, and catfish. There are a few boat rentals and a fish cleaning station, should you actually catch something and want to put it on the grill. Deep in the Ozark Mountains, Bull Shoals Lake is a 45,000-acre body of water stretched from northern Arkansas to southern Missouri. The lake was created as a result of the construction of Bull Shoals Dam in 1951 in the Upper White River Basin to help with flood control, generate hydroelectric power, and provide water for the Marion County Regional Water District. The lake’s shoreline is rocky and the water is crystal clear and full of fish, making the lake a heaven for anglers and families looking for a quiet mountain getaway. Anglers can hope to catch black and white crappie, largemouth bass, catfish, smallmouth bass, and trout. The lake doesn't freeze, so fishing is possible all year round. Spear fishing is also popular. Because of the lake’s incredible visibility, the lake attracts scuba divers. Swimming is good only between May and September, and the water is pretty cold. 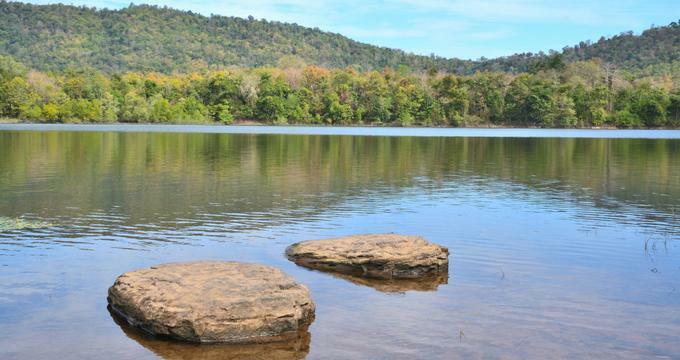 Tucked in the middle of the Ozark Mountains in southeastern Missouri, 1,600-acre Clearwater Lake was originally built to help with flood control, but the proximity of the City of Piedmont and three parks quickly made it a local favorite recreation area. Clearwater Lake was created in 1948 as a result of the construction of the Clearwater Dam and is an impoundment of the Black River. The level of the water in the lake fluctuates between June and September, and as a consequence there are no vacation rentals on the lakeshore. The lake is very popular for swimming, canoeing, boating, water-skiing, and fishing. Council Bluff Lake is a 440-acre body of water in southern Missouri at the eastern edge of the 1.5-million-acre Mark Twain National Forest. With dense forests providing shade along its banks, a 13-mile-long network of trails for hiking and biking, and plenty of fish in the clear mountain waters, the lake is popular weekend and holiday spot. Chapel Hill Beach is a nice sandy beach where kids can swim from May through September. There are a variety of campgrounds, so you can rough it in your tent or bring your RV. Anglers can expect to find abundant redear sunfish, largemouth bass, channel catfish, bluegill, and crappie. All boat launches can be found on the southern and northern ends of the lake. Fellows Lake was created as a result of the construction of Fellows Lake Dam in 1955 by impounding the Little Sac River. 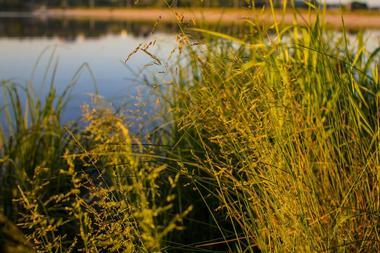 The 860-acre lake is the source of water for Springfield, Missouri. The lake is also one of the Missouri’s major muskellunge fisheries. So close to Springfield, Fellows Lake is a popular weekend destination for families looking for a cool spot to barbecue, have a picnic, fish, boat, or hike. The large grassy park on the northern side of the lake is a popular spot for flying kites. Anglers can enjoy catching largemouth bass, catfish, walleye, black and white crappie, muskie, and white bass. There are two larger boat docks and a marina for boat storage. Harry S. Truman Lake is the largest lake in Missouri, located only a mile and a half from the city of Warsaw. The 55,406-acre reservoir was created as a result of the construction of the Kaysinger Bluff Dam in 1977. The reservoir is used for the generation of hydroelectric power, for flood control, as a wildlife habitat, and as a great recreation spot. 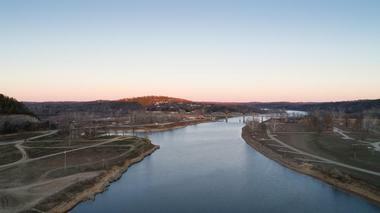 The Osage River is the outlet of the Truman Lake and flows almost directly into the Lake of the Ozarks. The massive lake has 958 miles of shoreline and a depth of 40 feet. It has several tributaries and is surrounded with small, secluded coves that are perfect for exploring by kayak or canoe. The lake is rich in crappie, largemouth bass, blue catfish, and flathead catfish. 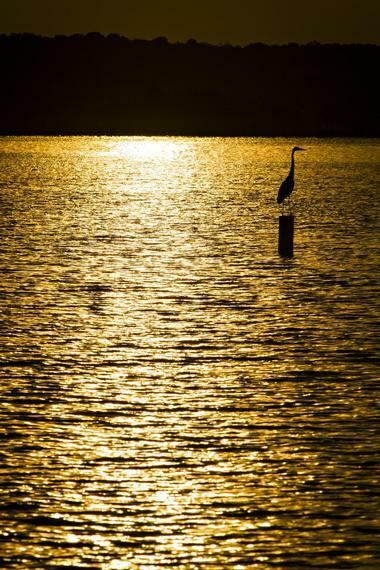 Located within Fleming Park about 15 miles from Kansas City in the Northwest Missouri, Lake Jacomo is a 1,000-acre lake that was created almost 50 years ago for recreation, especially sailing. The local sailing club was formed even before the lake was completed. 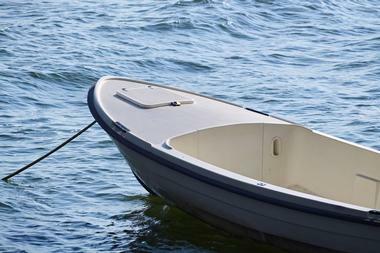 There is a 10-horsepower limit on boats with a motor, ensuring peace and quiet and more open waters for sailing. The lake’s many coves and arms as well as its lush, wooded shoreline make the lake a heaven for exploring in a kayak or canoe. Sail Boat Cove has mooring buoys and a dry sail lot for a number of boats. The South Boat Dock has space for 300 boats, and the marina offers boat rental, gas, food, and much more. On weekdays, the marina's dock is used for fishing. Anglers mostly go after largemouth bass, but the lake is also full hybrid striped bass, bluegill, walleye, catfish, crappie, and at times even carp. Only 180 miles from St. Louis and 170 miles from Kansas City, Lake of the Ozarks is massive 55,000-acre aquatic playground, 92 miles long and with over 1,150 miles of shoreline. The lake started its life in 1929 after the construction of the Bagnell Dam on the Osage River. At the time, it was the world’s biggest manmade lake. Most of the lakeshore is privately owned except for the area of the Lake of the Ozarks State Park, Missouri’s biggest state park. The park has over 8 miles of trails along the lakeshore, running through rocky hilltops, past babbling brooks, scenic bluffs, and magnificent Missouri flora. The lake is full of fish, especially bass, and there are popular annual fishing tournaments. Camping at the park is great, with both primitive and upscale sites available. Swimming is permitted anywhere in the lake, but there are two particularly nice sandy beaches. Lake Taneycomo is famous for the best trout fishing in the country. The oldest of the Branson Tri-Lakes, Lake Taneycomo is a beautiful Ozark Mountain Region recreation spot located in Taney county. The lake was created in 1913 as the result of the construction of the Powersite Dam on the White River. The lake was Missouri's first hydroelectric impoundment, but it is also used for flood control and recreation. Just above the dam is Empire Park, a popular recreation spot. When Table Rock Dam was completed in 1958, upstream from Lake Taneycomo, the lake was filled with the cold water and became more of a very deep, cold, fast running river than a lake. As a result, it is one of the country’s most diverse fishing lakes, with both warm and cold water fish species. Fly fishing is popular here, but it can be dangerous when water is released from Table Rock Dam. The lake is too cold for swimming, but visitors can rent kayaks, canoes, or fishing boats and explore the lush forested lake banks. There are also lovely hiking trails along the coast. Longview Lake is a 930-acre lake in northwest Missouri in the heart of 4,852-acre Longview Lake Park. The lake was built for flood control, wildlife and fish conservation, and recreation as the result of the construction of the dam in 1968, a part of the Little Blue River Project. The lake is located only a few miles from Kansas City and is a popular destination for weekend recreation such as swimming, boating, fishing, camping, water-skiing, tubing, jet-skiing, pontooning, and sailing. Windsurfing is allowed only Monday through Thursday and stand-up paddleboards are not allowed. There is a full-service marina that rents boats and sells gas, fishing tackle, bait, and other boating supplies. Swimming is best at the sandy beach. There are several miles of paved walking trails and 6 miles of hard-surfaced bicycle trail. Mark Twain Lake is an 18,600-acre body of water in Ralls and Monroe Counties in northeastern Missouri. The lake is part of 2,775-acre Mark Twain State Park and was created by impounding the Salt River. Clarence Cannon Dam was built about 63 miles upstream from the confluence of the Salt River with the Mississippi River. Mark Twain Lake generates electricity, controls flooding, provides a water supply, and enables fish and wildlife conservation. Along the 285 miles of shoreline there are 20 boat launch ramps. Many visitors bring their own boats or locally rent a pontoon boat, ski boat, or jet-skis in one of two marinas on the lake. The anglers come for catfish, crappie, and largemouth bass. The wild shoreline does not have any commercial or residential developments and is perfect for camping and nature observation. McDaniel Lake is a 300-acre manmade lake about 5 miles from Springfield, Missouri, that provides water for the city. The lake was created in 1929 by the construction of the McDaniel Lake Dam and the impounding of the Little Sac River. It is one of the oldest dams in the area. No boating, swimming, floating, or dock construction is allowed on the lake, making the lake very peaceful and relaxing. Fishing is allowed off the 50-yard long concrete bridge that crosses the lake at one of its narrower sections. Anglers can expect to catch carp, small and largemouth bass, channel catfish, white bass, and sunfish. Norfork Lake is an unspoiled and uncrowded 22,000-acre lake hidden in the Ozarks. Most of Norfork Lake is in Arkansas, while its northern end is in Missouri. The lake was created in 1944 as a result of building the Norfork Dam and impounding the North Fork of the White River in order to control floods, provide water, and produce electricity for north Arkansas. With limited development around the lake, it became a popular recreational destination, particularly for hunting wild turkeys, white-tailed deer, and game birds. Fishing is great year round since the lake does not freeze. There is healthy population of black and smallmouth bass, stripers, white bass, crappie, walleye, and catfish. 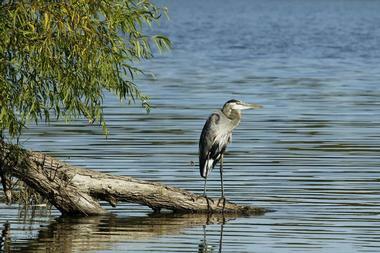 The lake has 550 miles of densely forested shoreline, 20 parks, and ten recreation areas. With many bays, coves, branches, and sandy islands, the lake is great for swimming, hiking, boating, scuba diving, nature watching, and hiking. Pomme De Terre Lake is one of the less known and less visited lakes in Missouri. It was built in 1961 after the construction of Pomme de Terre Dam across the point where Lindley Creek and the Pomme de Terre River meet. The result was an irregular “Y”-shaped lake with more than 100 miles of shoreline, several parks, and nine camping areas along the shore. The lake is part of Pomme De Terre State Park and its two units Pittsburg State Park and Hermitage State Park. Both parks have lovely swimming beaches, boat ramps, playgrounds, showers, and hiking trails. Pittsburg Park has a marina and a boat ramp. Boating and fishing are the most popular activities at Pomme De Terre Lake. The visitors can rent all sort of boats, such as ski-boats, pontoon rafts, fishing boats, canoes, kayaks, pedal boats, jet-skis, stand-up paddleboards, water-skis, tubes, and life vests. Considered among anglers as a muskie fishing lake, the reservoir holds other species of fish as well, such largemouth bass, crappie, bluegill, and walleye. 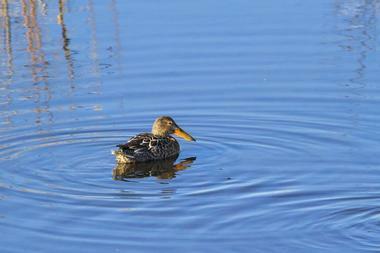 Smithville Lake was originally built to control floods, supply water, and manage fish and wildlife. However, its beauty has made it into the popular recreational area, so today the lake and its surrounds are used for fishing, hunting, swimming, boating, hiking, horseback riding, birdwatching, and camping. The 7,200-acre lake, located near the city of Smithville, Missouri, was created in 1965 after damming the Little Platte River. There are several campgrounds, some basic and others electric, so there’s something for everyone’s taste. Swimming is best in Little Platte Park and Camp Branch Park. There are miles of multi-use trails, from hiking to horseback riding. Fishermen come to Smithville Lake for channel, blue and flathead catfish, bluegill, largemouth bass, walleye, tiger muskie, and crappie. Located on the western foothills of the scenic Ozarks, 24,900-acre Stockton Lake is a popular local recreational destination. The lake was created in 1969 after Stockton Dam blocked the Sac River and Little Sac River. The main goal was to generate hydroelectric power, provide water for Springfield, and control floods. The lake is very scenic and is a great destination for fishing, boating, all sorts of watersports, swimming, sailing, wildlife viewing, hunting, horseback riding, and much more. Anglers come to Stockton Lake in hope of catching crappie, black, white, largemouth and smallmouth bass, catfish, walleye, and bluegill. The large expanses of open water are perfect for nice, slow boat rides but also for water-skiing, windsurfing and jet-skiing. Because of the clear water and great visibility, scuba diving is also very popular. Table Rock Lake is snuggled in the scenic Ozark Mountain Region, a recreational jewel that stretches from Branson, Missouri, to Eureka Springs, Arkansas. Table Rock Lake was created as a result of building Table Rock Dam in the upper White River basin and impounding the White River in 1958. The dam and lake were created to help with flood control and generate hydroelectric power. There are few public marinas on the lake where visitors can rent pontoon boats, wave runners, fishing boats, and ski boats. Adrenaline-pumping parasailing is also available. For those who prefer a more relaxing ride, hopping aboard the Branson Belle, a paddlewheel river boat, is a great option. Scuba divers love to explore this crystal-clear mountain lake. Most anglers come for bass, but the lake also has crappie, catfish, and bluegill. Wappapello Lake is 8,400-acre reservoir located in southeast Missouri, in the foothills of the Ozarks. Wappapello Lake was created in 1930s as a consequence of the construction of the Wappapello Dam across the St. Francis River. The goal of the dam and lake was to help with flood control and to produce hydroelectricity for southeastern Missouri. Wappapello Lake offers the opportunity for all types of outdoor recreation. Anglers come for the chance of catching largemouth and white bass, crappie, channel catfish, and bluegill. The lake is wonderful for exploring by kayak or canoe, but water-skiing and jet-skiing are also very popular. There are 25 boat ramps around the lake and a few full-service marinas where visitors can rent boats or get supplies. 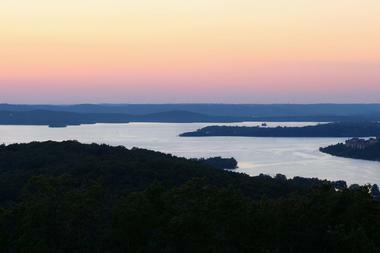 The largest lakes in the state are Harry S. Truman Lake, Lake of the Ozarks, and Bull Shoals Lake. Created as a result of dams built to control floods, generate electricity, or provide water to big cities, many of Missouri’s lakes are very attractive and popular destinations for cooling off during the hot summer months and for a range of outdoor activities. They are also well-stocked with a number of fish species, making them a heaven for anglers.